Talents, skills, and abilities need to be continuously developed so that one’s greatest potentials can be achieved. As humans, we never stop learning even after we get our college degrees. There are just a lot of things that one can learn, especially when it comes to furthering one’s career plan. Becoming good at something or making improvements with one’s performance does not happen overnight. It needs to be thoroughly planned so that one can effectively achieve their goals. That is why it is necessary to have a performance development plan. 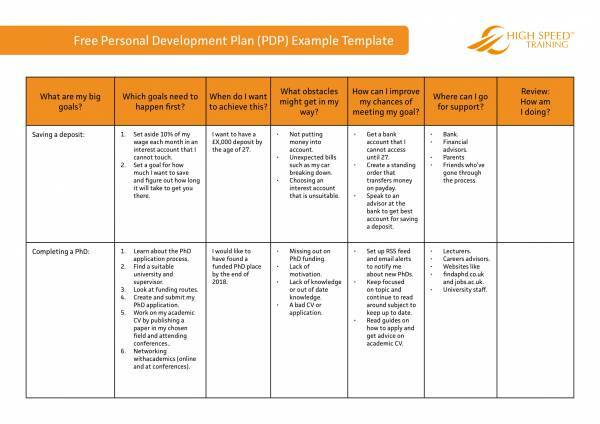 Here are some useful performance development plan sample templates that you can use to guide and help you further understand what performance development is. What Is a Performance Development Plan? A performance development plan is often used in the workplace as a means of identifying the performance of every employee and ensure that they are meeting the standards set by the company for every employee. A performance development plan is mainly used to help improve employee performance both for performing employees and nonperforming employees alike. Employees who are already doing great with work can become even better with other work-related things that they lack or are poor at, and employees who are struggling with work will be able to meet the company’s expectations of them. 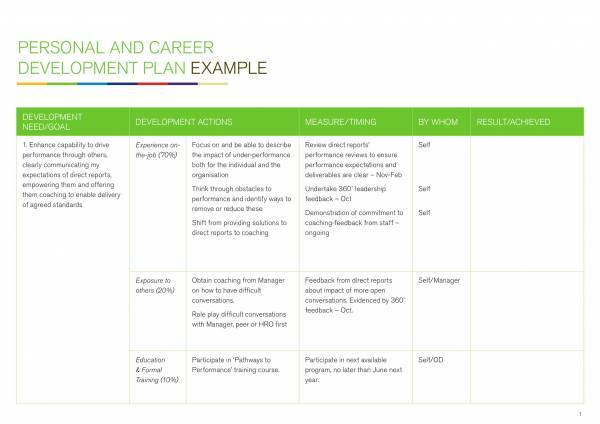 A performance development plan is created to address performance issues that has been identified by a supervisor or manager. 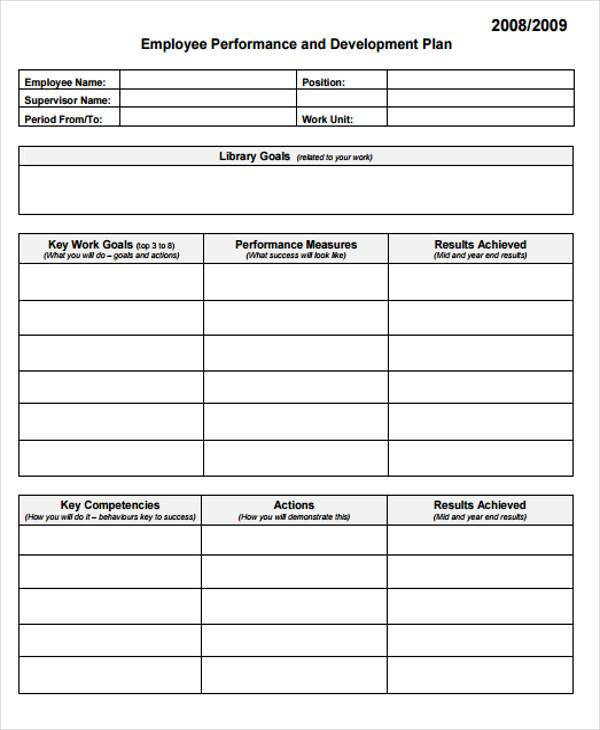 After identifying the performance issues, the supervisor or manager creates a unique performance development plan for every employee. 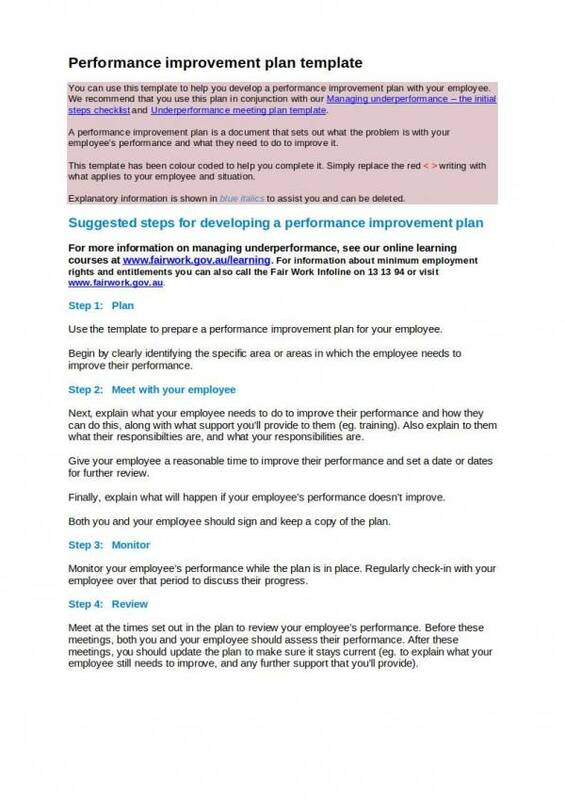 You may also see Performance Plan Samples. The plan is later on communicated to the employee through performance appraisals or by conversing with them about their performance. The supervisor or manager shows the employee the performance development plan specifically created for them, which they both discuss. After the discussion, both manager and employee must agree to an action plan to help the employee perform better. 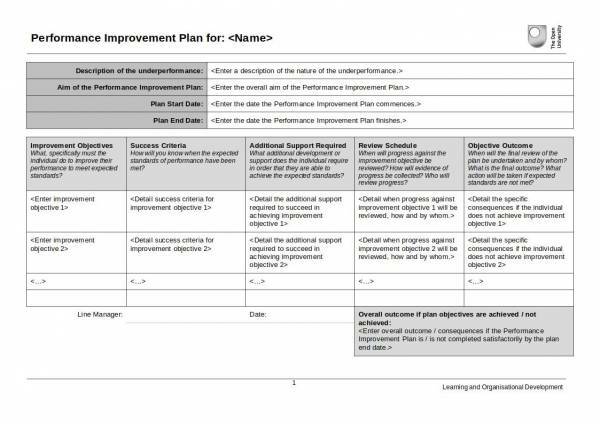 You may also see Performance Improvement Plan Templates. Why Do You Need a Performance Development Plan? Every employee is different. There are those who can work their best on their own and there are those who need a little push in the back to be able to meet expectations. The performance of both types of employees needs to be assessed as the situation may change based on their current circumstances. This is where a performance plan comes into action. Here are some of the reasons why your company needs a performance development plan. A performance development plan helps in the assessment and evaluation of an employee’s performance. Through this plan employers are able to identify how each of their employees performs, and determine how productive or unproductive they are in the workplace. An employee development plan allows employers to identify which employees are performing well and which employees are nonperforming. This is done not to condemn employees but to help them find ways to improve their performance. If an employee is already a top performer or is meeting company expectations, a performance development plan will help keep them motivated to continue to do better. Without a proper development plan, an employee may feel pressured and intimidated, which could cause them to perform badly. Employees who are struggling with meeting company expectations equally need performance development plans to help them improve on whatever work challenges they may have. For example, a sales agent who is not hitting his target may need to discuss his challenges with his/her manager and create an action plan for increasing sales as part of their performance development plan. 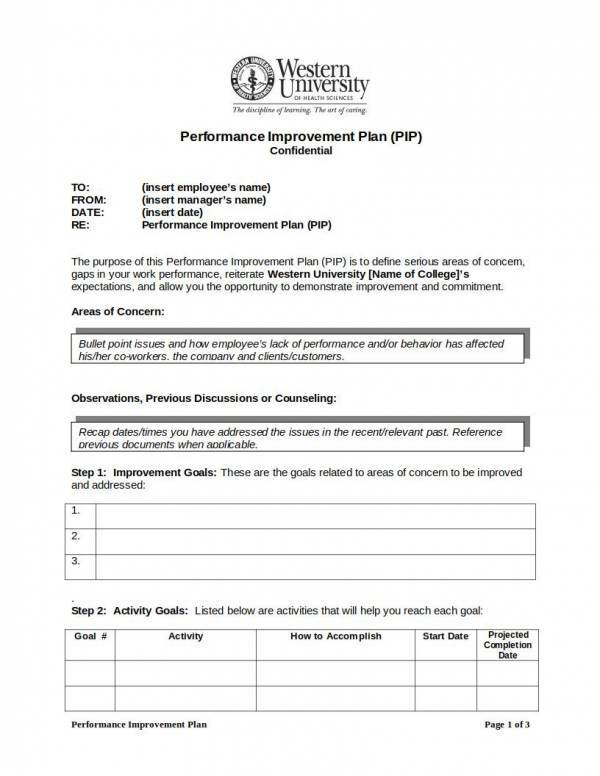 A performance evaluation plan also serves as a documentation tool that details what the manager and the employee have talked about, as well as what they have agreed on. 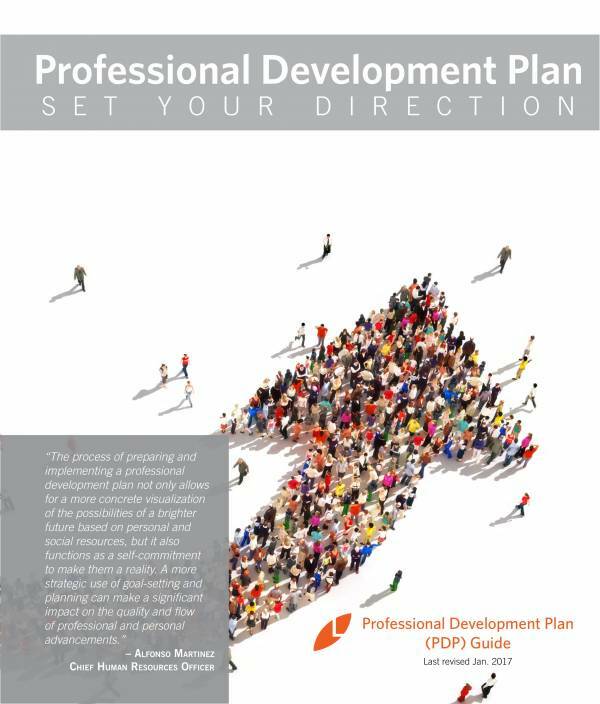 You may also see Professional Development Plan. 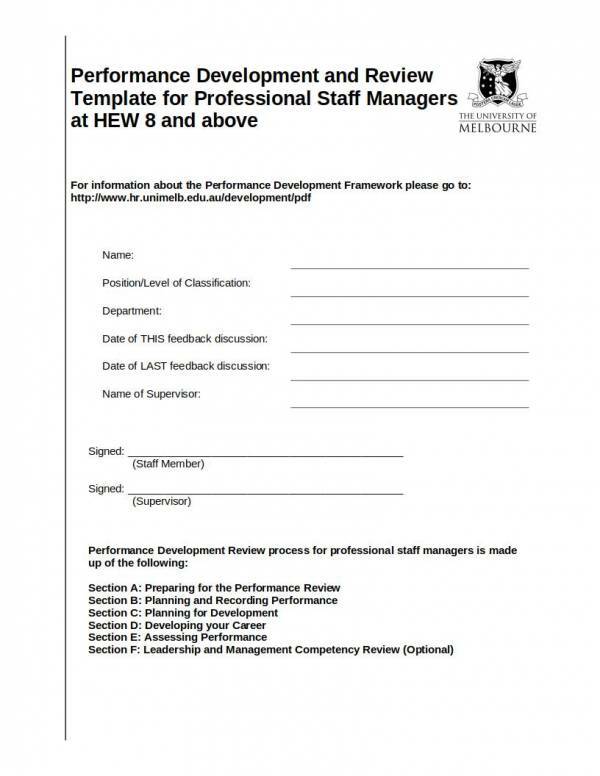 Have you tried writing a performance development plan before? 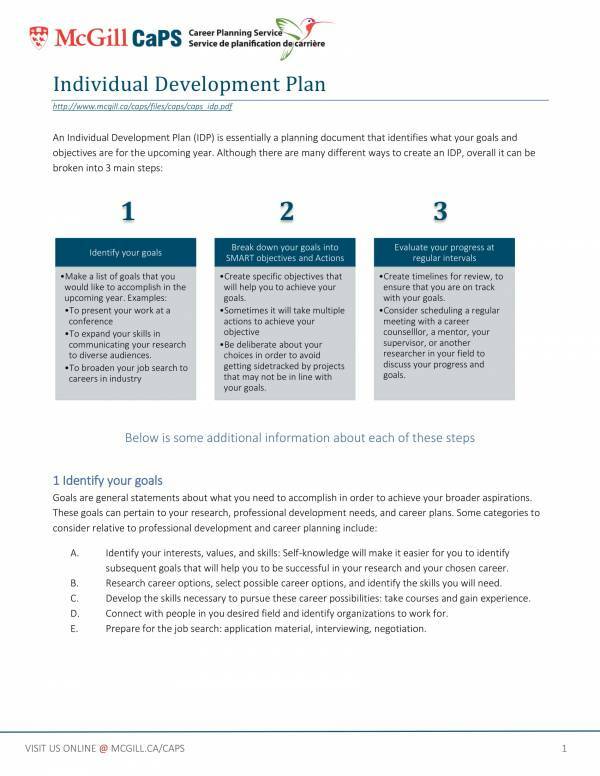 If you need help writing a performance development plan now but you don’t have any experience with writing one, then you might want to check out the steps we have prepared to help you write a performance development plan. You may also see Personal Development Plan. The first thing that one must do when writing a performance development plan is to identify and review areas that need improvement. This not only applies to nonperforming employees, but it is also necessary for employees who are meeting expectations because they may have certain challenges that may cause them to fail in the future if not addressed. Write or list down developmental goals related to the identified areas of improvement or areas you want to make an improvement on. Make these goals as realistic and attainable as possible. Once you have set out developmental goals that will help you make improvements, the next step would be to make a list of actions or activities that will help in achieving those developmental goals. Make sure that each activity is specific with details on when it will start and end. You may also see Project Management Plans. Gather enough resources and be sure to define performance metrics. You will need all the resources you can find to accomplish your developmental goals. Defining performance metrics allows you to make related actions that can help improve your performance. It also serves as your basis on how you will measure the completion of the developmental goal planning. Review your work to make sure that you have everything covered and to ensure that you have the right performance development plan written for the right employee. The accomplished performance development plan is then discussed by both the manager and the employee. 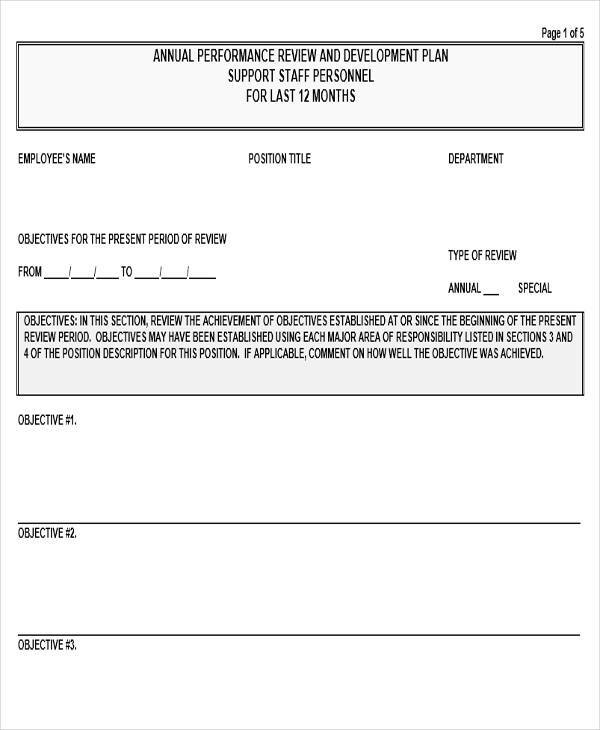 The employee must understand and accept the plan before affixing their signature on it, and before they commit to the action plan created to improve their performance. You may also see Career Development Plans.